I know some people think you're locked into it once you go in, but as you saw last time, we can just turn around once the cutscene is over. This also has the benefit of moving Luserina to Salzburg so we can muck around with our parties as much as we like. Magic's so scaaary! I don't wanna see it ever again! Most of our crew have something to say now that the final dungeon is looming ahead. Not all of it is relevant or interesting, though. So that's what the Sun Rune can do... Such a magnificent specimen! So long as Runes exist in our world, they will pose unspeakable dangers unless we study how to control them. Wouldn't you agree? And that's why the subject fascinates me so! 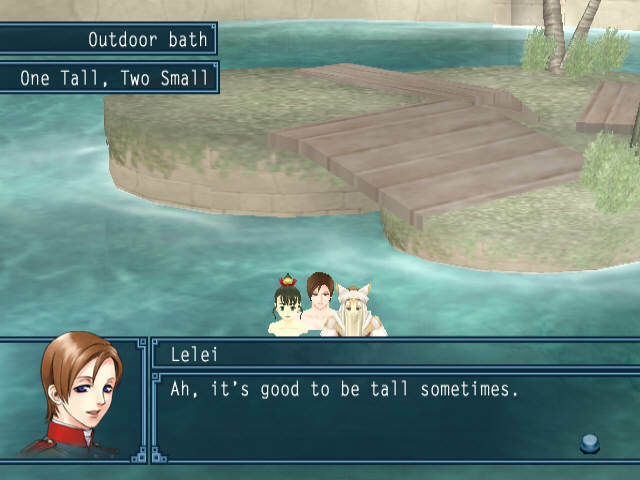 Levi can come across a little at times, but I kinda do agree with him this time. Oh, the war's almost over, and I still don't have a lovely lady to take back to Armes! Little Lymmie! Little Lymmie! You do realize that even if you did by some miracle get her to marry you, you would not be bringing the queen of Falena with you back to Armes, right? If your work's not done yet, Prince, then that means ours isn't, either! And I'm happy to help... but there's not really anything to be happy about, really! I think he's trying to guilt me into finding him an unobtanium hammer so he can sharpen my stick to level 17. Your Highness, allow me to assist you until you've recovered the Sun Rune. Bernadette's more scared of him than the Sun Rune. 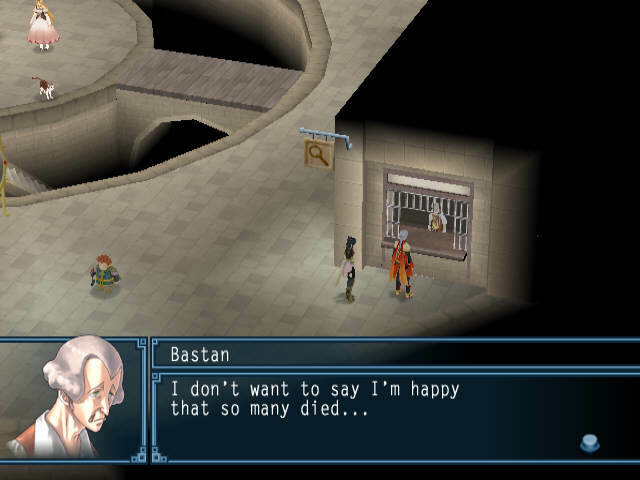 Maybe I should bring her to the final dungeon. I certainly have enough spots to fill! True. I'm much cooler than he ever was. 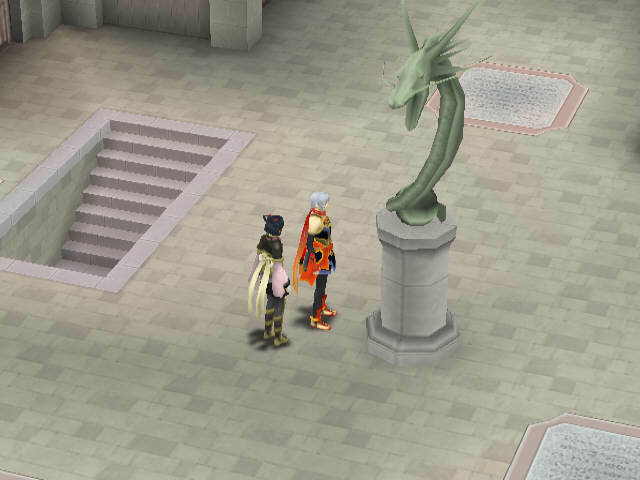 The Nemesis miniboss in the Ashtwal Mountains drops a "large" statue, which differs from the small ones we've been able to display next to Luserina. 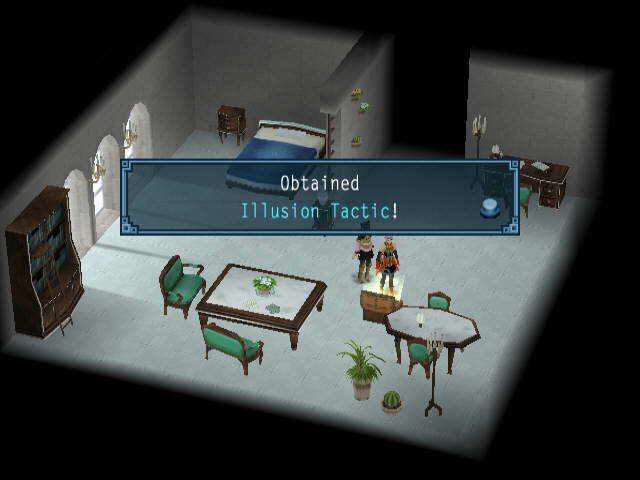 This is the only one you can obtain through normal gameplay; there are also three you can get by playing Egbert's minigame, but I've never seen them and doubt I ever shall. You're going anyway, Crazy Hat Guy. Take me to the Ashtwal Mountains! ...actually, I am bringing Lorelai this time since there's something I need to do. Though, she still grumbles about it when you add her to the party. It's not that reactive. You two should be able to hole the Sun Rune in check, so long as you have the Dawn Rune and Twilight Rune. You are now our only hope. 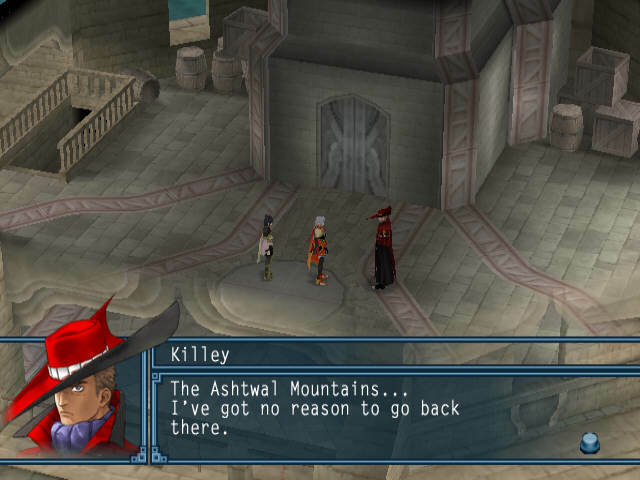 We still need to visit the ruins in the Ashtwal Mountains. 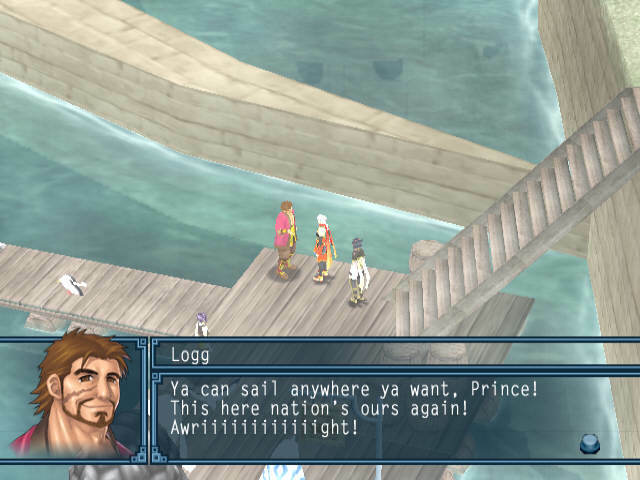 Have you forgotten, Prince? It shouldn't come as much of a surprise, seeing how she went from being bedridden to the front lines! I kept my mouth shut about the matter because I didn't want to worry you. And that's another mystery solved. Hey, I've left my dudes alive to be sick and injured! Some commanders I could mention just get everyone killed. Oboro's still working hard! For a given definition of "hard". What a pain... Thought I could kick back for a while, but it ain't over yet! 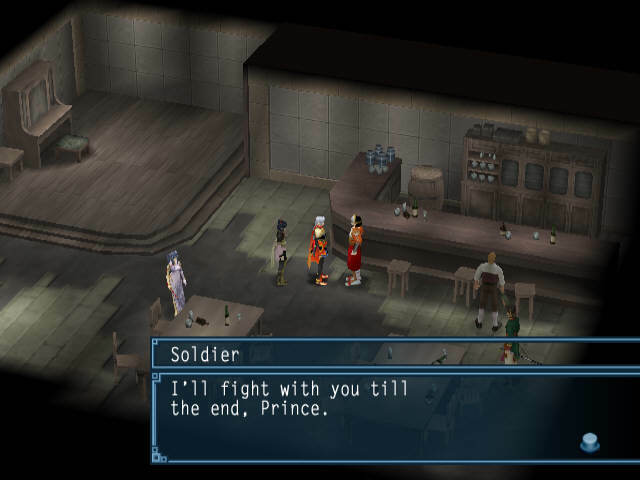 Well I'm not bringing you; don't want anyone dozing off right in the final climactic battle or anything. Taylor, on the other hand, is actually working hard. much to no one's surprise. The Prince's forces have stormed the Imperial Capital Sol-Falena, stamping out the last of the Godwin forces. 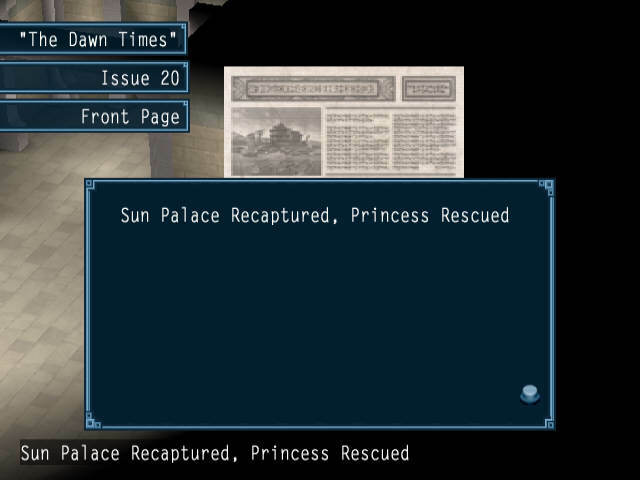 During the assault, Princess Lymsleia, who had been held captive in the Sun Palace, was finally rescued. The long war against the occupying regime appears to have finally come to an end. "The Dawn Times" has learned that Gizel Godwin, pretender to the position of Commander of the Queen's Knights, had died in battle. 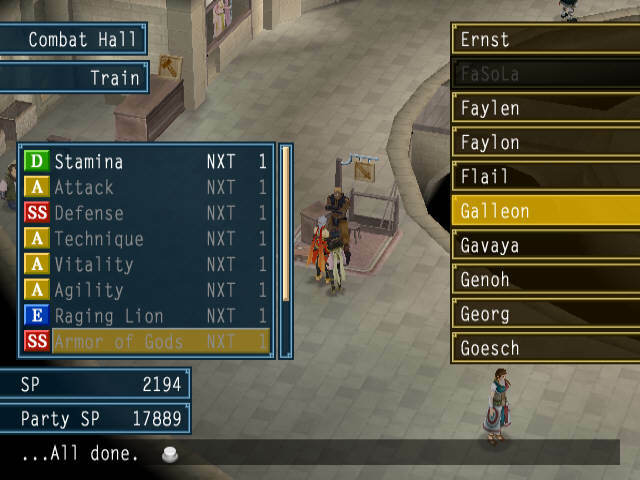 Almost all remaining Godwin underlings, including Queen's Knights Zahak and Alenia, have also fallen in combat. The Godwin faction is now nearly completely annihilated. 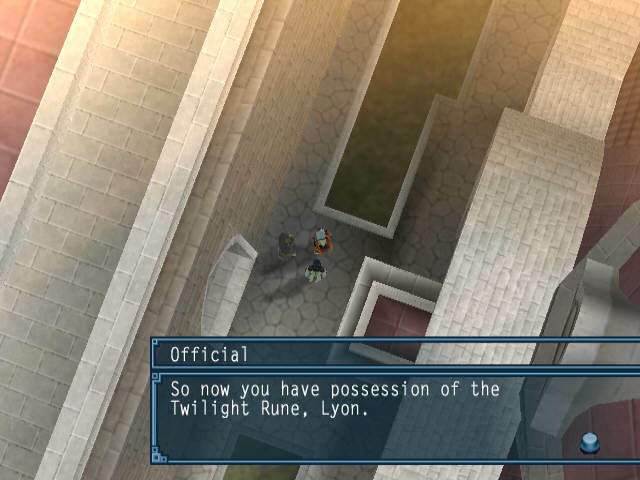 However, the remains of the occupying regime, including Lord Marscal Godwin himself, have fled Sol-Falena and, in a cowardly and desperate act, seized the Sun Rune and are now at large. 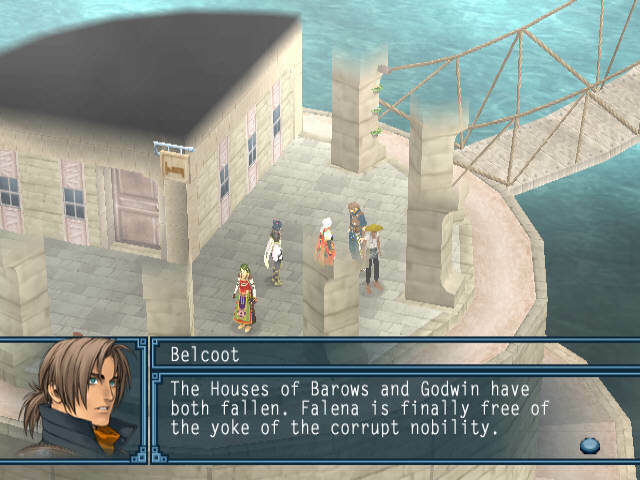 With such a powerful weapon still at their disposal, Falena is not yet free from the tyranny of the Godwin faction. Now that he has lost Gizel, his only blood relative, and nearly all of his men, we wonder what Marscal will do now. Marscal had a cousin that he was extremely close to ever since childhood, and they continued to be very close even into adulthood. This cousin was Mardas, the man who married Princess Shahrewar. And Marscal was said to have a very loving relationship with his wife, Rosalind. 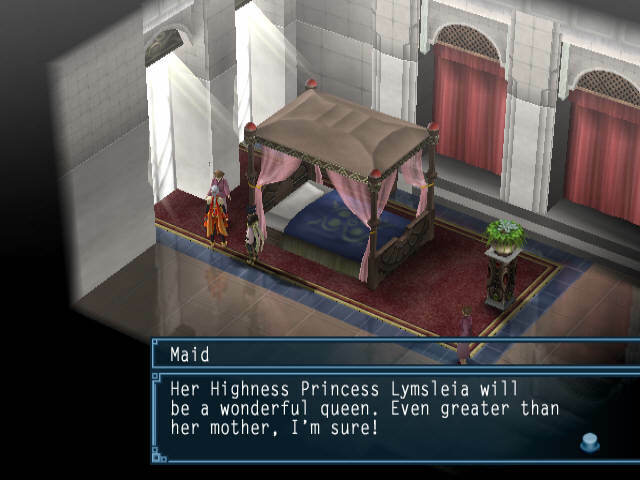 But Marscal lost both Mardas and Rosalind during the succession conflict. 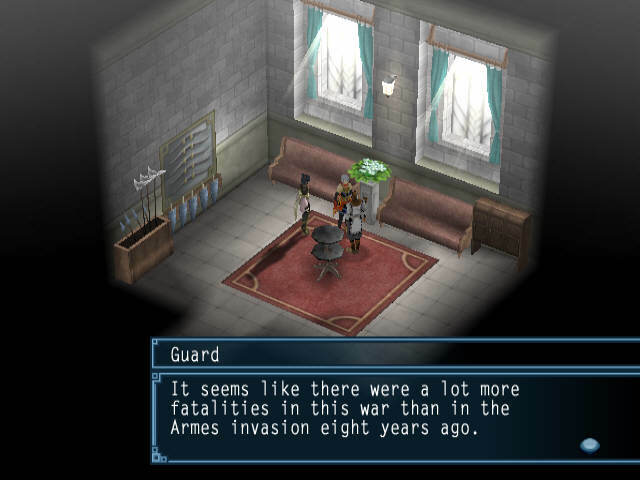 While these tragedies no doubt influenced Marscal's current behavior, they are no excuse for the bloodshed he has brought on this nation. This one goes up once you regain control in Sol-Falena. 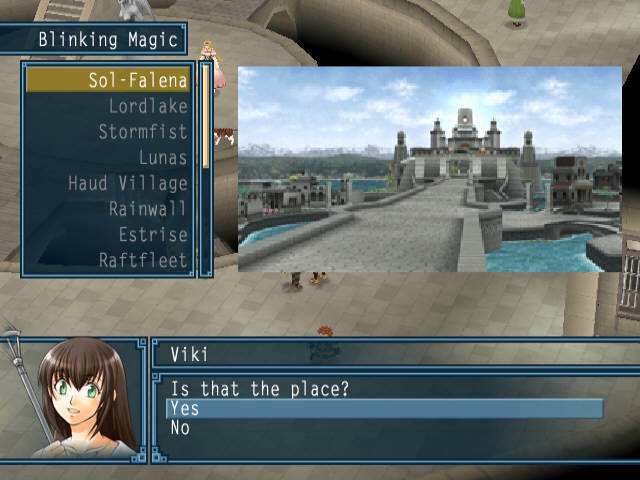 However, there's not much reason to return here at that point - Luserina is still in the Sun Palace until you leave the Ashtwal ruins - so by the time we make it back here, we also have one last issue to go through. In an urgent special report, "The Dawn Times" has learned that the water level of the Feitas River has risen considerably, quickly reaching dangerous and deadly heights. According to some unnamed sources within the Iodine in Hell Army, it is believed that while Marscal was making his getaway, he used the Sun Rune to melt the Ashtwal Mountains Glacier. His Royal Highness has expressed his intention to go there immediately and investigate. "The Dawn Times" has learned that Yashuna Village, whose very existence had been threatened by an unexplained reduction in hot water volume from its famed hot springs, has experienced a sudden, miraculous recovery. Business at Yashuna's once-popular hot springs inn, which had been drastically reduced since the drop in water volume, has now returned to normal. "The war is over!" an unidentified inn worker exclaimed, beaming with joy. "We're back in business!" The Sun Rune is one of the 27 True Runes and is also a symbol of the Queendom of Falena. The Sun Rune, however, has revealed its frightening side to its people. This weapon of unimaginable power is now in the possession of Lord Godwin. According to an investigation by Zweig and others, an inscription on an ancient tablet gives precise instructions on how to draw out the Sun Rune's power. 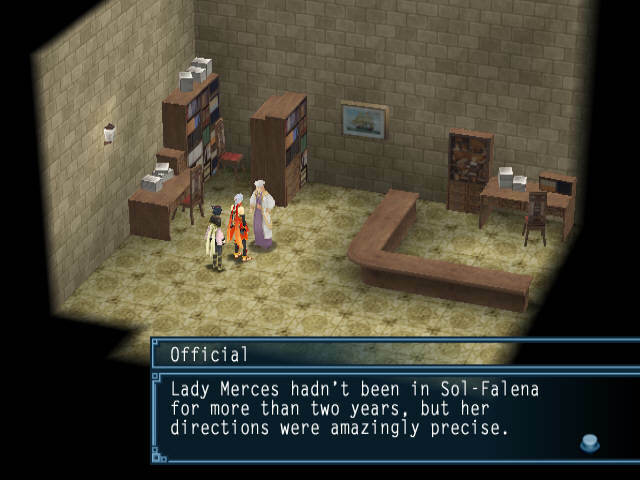 Marscal apparently brought this tablet with him to the Sun Palace. If Marscal is still able to unleash this power, must we fight the Sun Rune as our enemy? And can we hope to win such a battle? 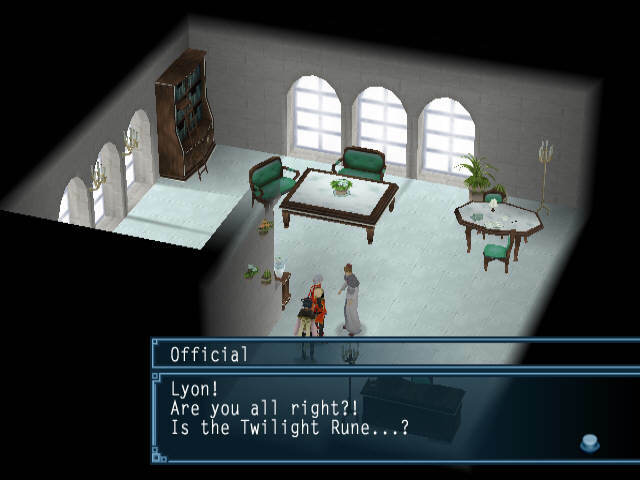 Many feel that only the Prince's Dawn Rune and Lyon's Twilight Rune can stand up to such brutal power. We'll see how that goes eventually. But not today. 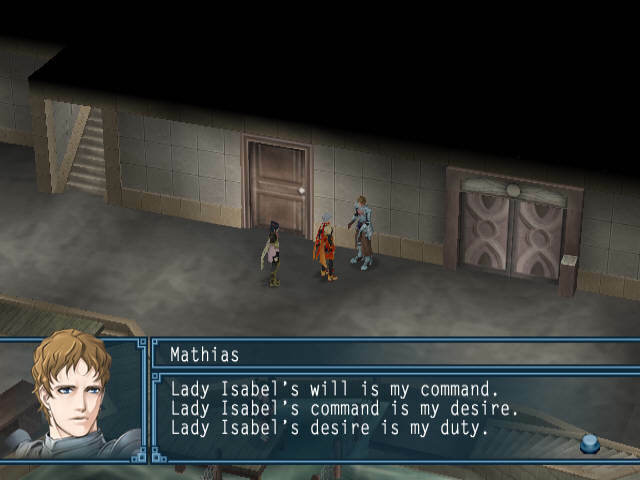 If you're wondering why Nelis is so hung up on the rune cannons, she's actually related to, believe it or not, Pablo from IV and Tactics. Pablo. 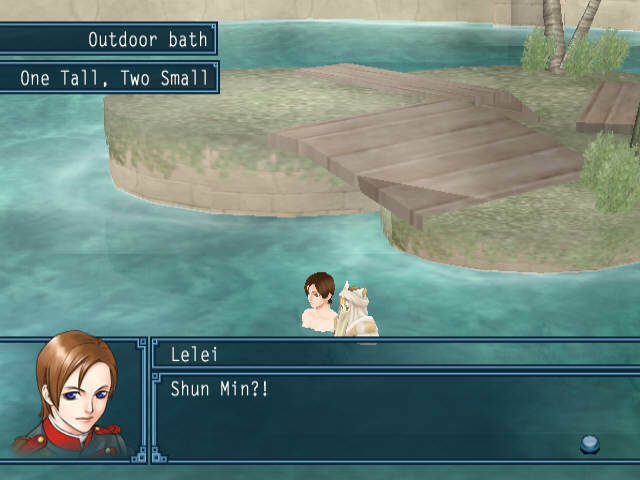 The man's like the second worst Suikoden character of all time, and someone allowed him to breed? Obel is doomed. The power of the Sun Rune sends a chill up my spine. No wonder it drives the one who bears it to madness... Such massive power only invites misfortune. Yahr may be a slacker, but unlike Shigure he shows some willingness to get serious even outside matters of his own personal interest. I like him. 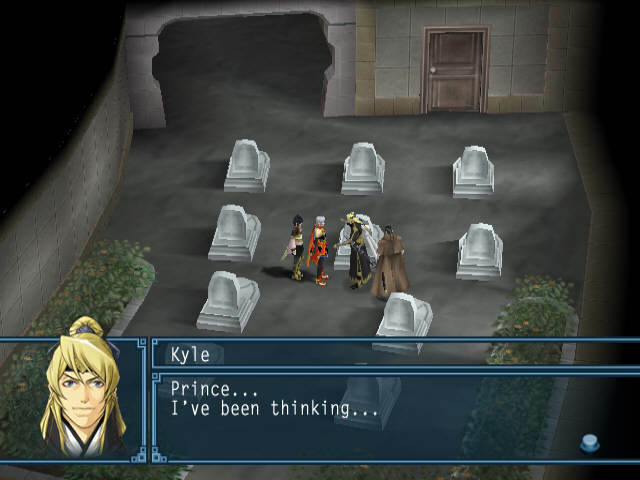 Former Gladiator: Zegai has befriended you, Prince Frey? But Zegai is hardly the type to play buddy with people... 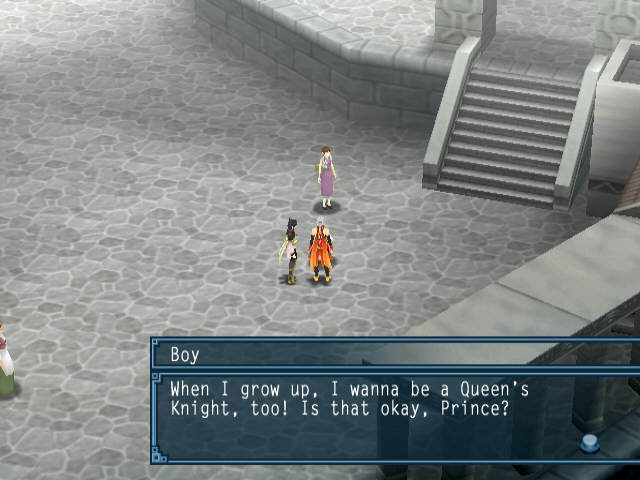 He must really like you, Prince Frey. 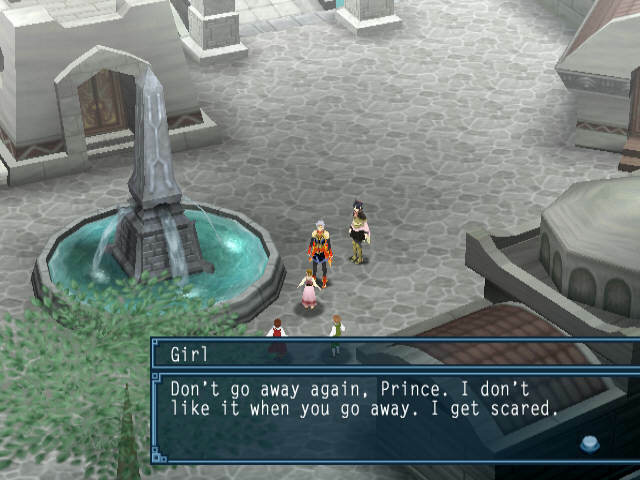 I'll go if you tell me to, Prince! ...But cold weather and me? Not best buds! Brrrrrrrrrrrrrrrrrrrrrrrr!!! ...you just stay here and stuff your face while you still can. The assassination organization Nether Gate long supported the Queendom of Falena from the shadows. The organization was often criticized, however, for its inhumane methods. As such, Queen Arshtat and Ferid made the decision to abolish Nether Gate several years ago. But Nether Gate refused to obey the order to disband. Of its five leaders, only Shinatsu, the head of the intelligence division, acquiesced. Hinoyagi, the head of the subversive activities division, put up heavy resistance to the order. 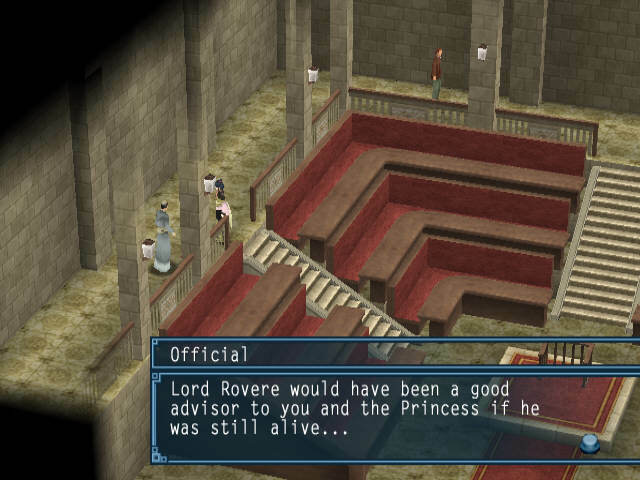 After a grim struggle, he was finally cornered by the Queen's Knights, committing suicide just before he could be captured. Rumor has it that Kayanu, the head of the assassin training division, and Takefute, the head of the assassin division and overall supreme commander of Nether Gate, fled to Nagarea. Tsuranami, head of the drug development division, vanished completely. There has not been the slightest hint as to his current whereabouts. With its five leaders finally out of commission, Nether Gate was promptly dismantled. Free of this poison, the Queendom of Falena's armed forces are now manned solely bu the regular army. However, with three of its former leaders still at large, Nether Gate remains a threat to the sovereignty of the Queendom. I just hope I won't ever have to redraw my map of Falena again! We'll see what we can do about that glacier. ...starting to sound a bit creepy there, guy. It seems I cannot yet leave this land. At least, not while there is still evil to be dealt with. Oh, it will. I'll see to that personally. Just not today. I've been playing it straight for so long, but I just can't stand it anymore. I wanna cheat! I wanna rip someone off! Oh, uh, Prince! I didn't see you there... I meant, uh, I wanna rip... your CLOTHES off, handsome! What, right here?! Uh... sorry, I don't think I could... not with Egbert watching. You understand, I'm sure. Oh, we still have Baldy left, don't look so depressed! I was really looking forward to writing a big "V-DAY" article... But that'll have to wait, my loyal readers! 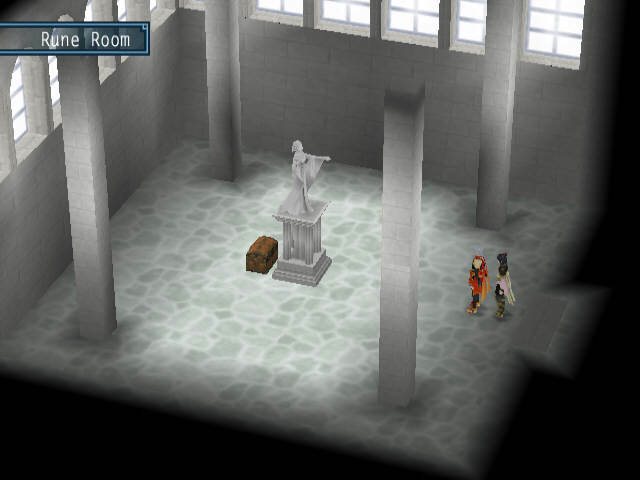 It would be difficult to steal the Sun Rune from Lord Godwin... Even for a master thief such as myself! Then what good are you?! ...But as long as Mueller's by my side, it doesn't matter where that "somewhere else" is! Our battlefield exploits were legendary! We've gained much prestige, so our next contract should prove quite lucrative. But even Mueller is excited. I suppose they did kill a whole bunch of dudes, though. Man, I never served under someone as cool as you! All the ladies! And you're a pretty cool guy, too, man! Naturally. I'm me, after all. 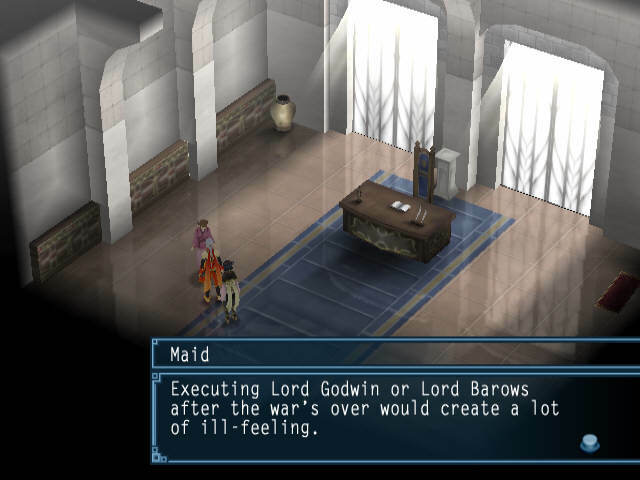 Maybe Sialeeds' ultimate goal was the destruction of the Godwin and Barows families... That's why she prolonged the war until the Godwins collapsed. And why she killed Lord Barows herself. ...Of course, uh, I wouldn't have any inside information on the subject. All just, uh, speculation on my part! She went about it the wrong way... but she really was looking out for the best interest of Falena. ...At least, that's what she tol-- Er, I mean, that's what I think. I think I should punt you into the goddamn ocean. I probably have enough strength to reach it from here by now. Don't think about Sialeeds now. Just focus on what you have to do. I'm sure that's what she would want you to do. That damn bald-headed idiot! He just won't give up, will he?! No, we'll have to make him go splat. I'm sure I'll enjoy it a whole bunch. ...MOST dragon horses! Ol' Lance, though, he'd make it, no problem! Which is why you're coming and they are not. Dragon horses are kind of crummy; not enough runes. 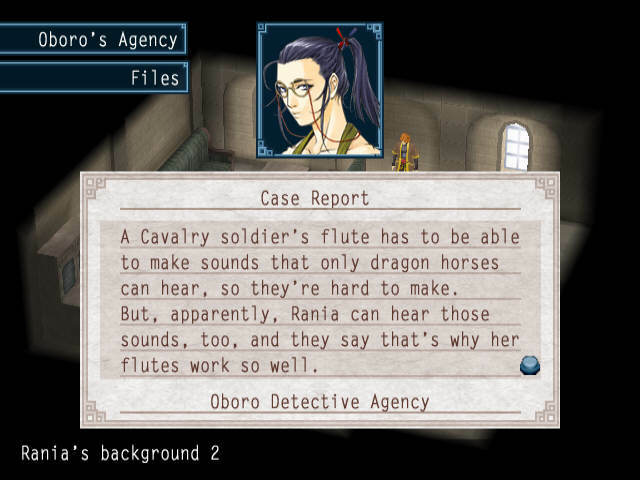 All I know is that your current system prevents Miakis from charging into battle on a dragon horse and that means it's a terrible system. I even flirted with him a little, but that didn't seem to help at all! Is somethin' up with that guy...? It's not easy, being Roog. Ah, yes... I've been meaning to ask, young one... What... were we... fighting about again? Take care of the senile old turtle, will you? Miakis: Oh, Prince! How's it going? You want to join us? 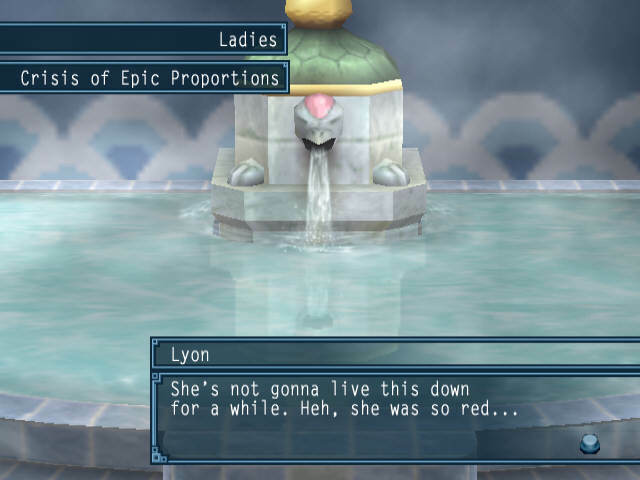 But, then again, I'm sure they'll make an exception for royalty... Don't you think, Lyon? 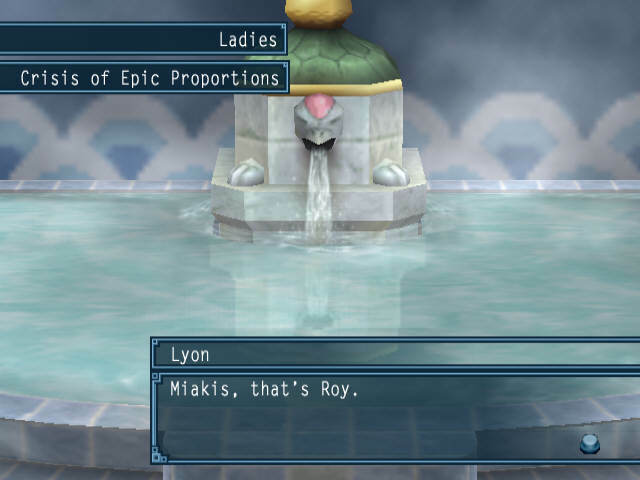 Lyon: Roy, you said you weren't going to do this anymore. You broke your promise, didn't you? 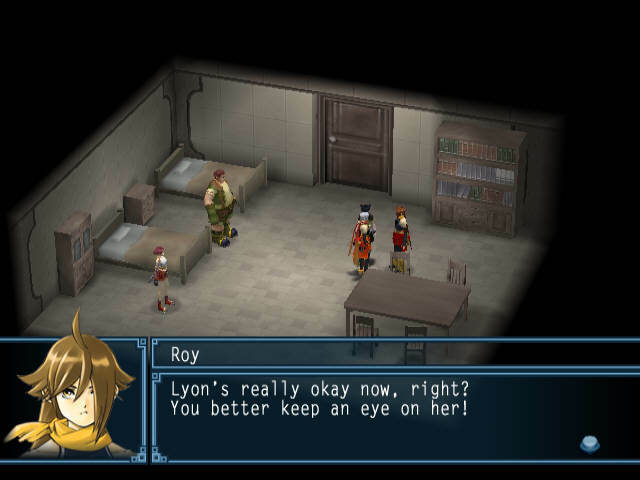 Roy: Whoa, whoa, where're you goin' with this?! Oh, you wouldn't...! Miakis: Oh, relax. It'll all be over before you know it. I cut things all the time! This'll be easy! Nooooooooo! I'm sorry! Please forgive me! Miakis: Sorry's not gonna cut it! Ha! You think you can escape a Queen's Knight? Coward! Get back here! ...I think it's best if we pretend we never heard this exchange. 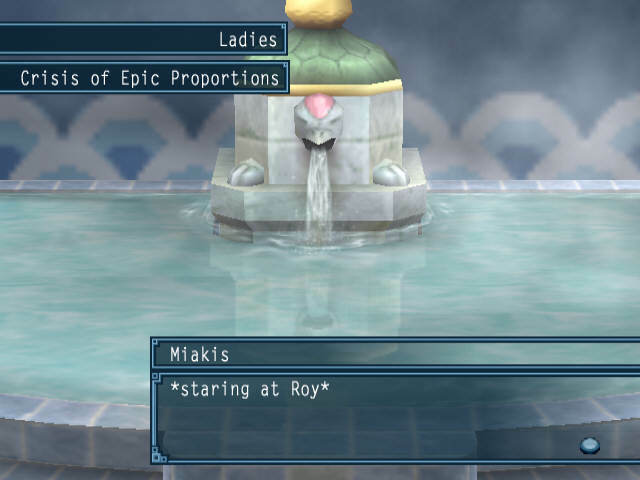 Or saw Miakis wrapped in a bath towel, chasing a naked Roy through the entire castle. If this is the end result of the crimes the House of Barows committed two years ago, then why do I yet live? Because you're too useless to do any real harm. That old Galleon guy's from Lordlake, right? Toma seems to have gained some appreciation for our totally awesome knights. As well he should. Don't take this the wrong way, but any time I get annoyed at this glowy thing stuck in my hand, I think about Ernst and then I feel better. He seems to have survived Miakis' wrath. I don't see any major bloodstains. Wonder what Roy's gonna do now... He can't go back to bein' a bandit. And neither can me an' my sister! Don't look at me like that, I'm very mature for my age. 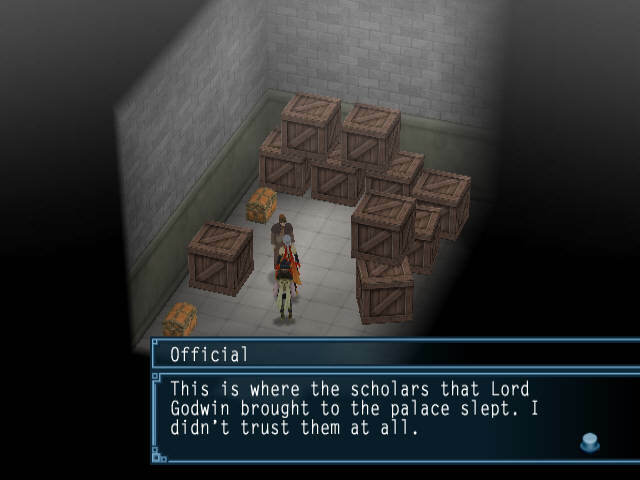 The Sun Rune is still in Lord Godwin's hands. From Armes' point of view, nothing has changed, so long as he has it. No taking away my stars before the final battle. That's good! It's this glowing thing in my hand, it brightens everyone's day. My fashion faux pas of a brother will try to take me back to Armes! But! I shall not go so easily! My name is Josephine! I no longer answer to the name "Yuma Valya"! It's times like this that I really appreciate how relatively well behaved my sister is. 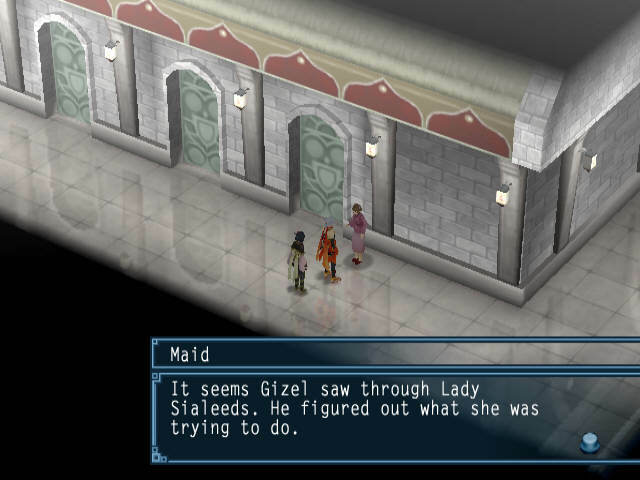 Was that Lady Sialeeds' aim all along...? 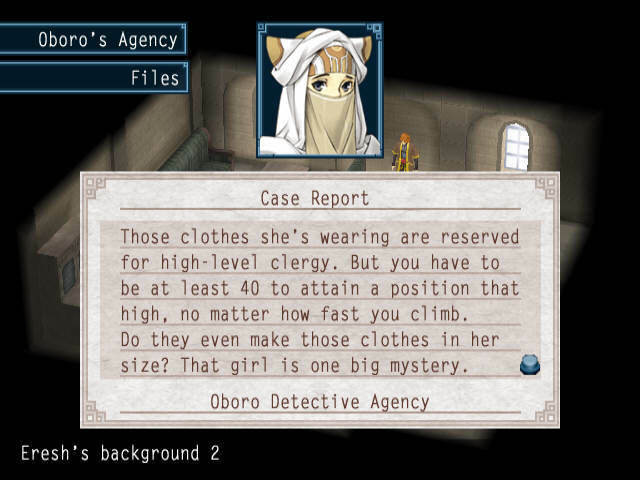 An NPC who changed clothes?! Now this needs to be in the next issue of the Dawn Times. 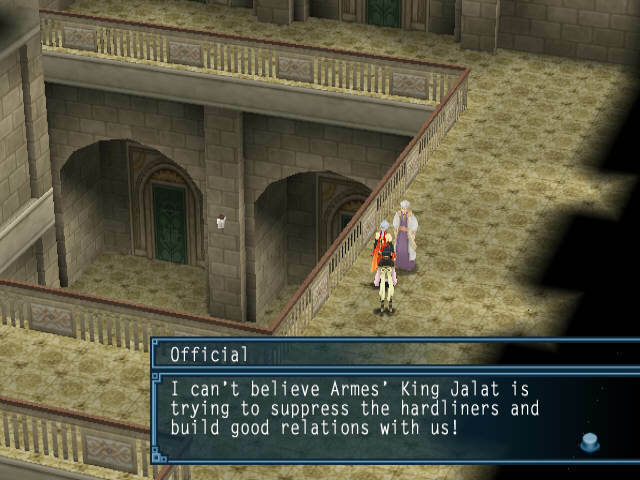 This must be the first time in history that Armes and Falena have moved towards a mutual peace treaty. But the most interesting thing around here has to be the senate. Official: The Princess has declared the outcome of the latest Sacred Games and the coronation ceremony null and void. 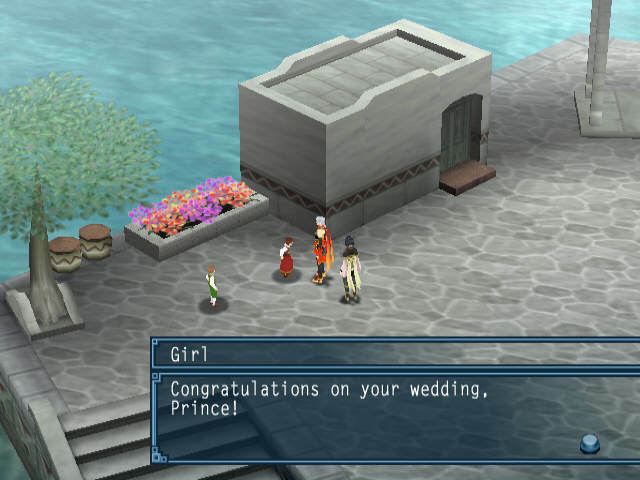 So, I guess that means I still have a shot at marrying the Princess! I think she's looking for something a little less NPC, a little more barbarous swordsman from a foreign land. Noble: Lord Godwin's wanted as a national traitor, and Lord Rovere and Lord Barows are both dead... The Senate can't very well continue under those circumstances. 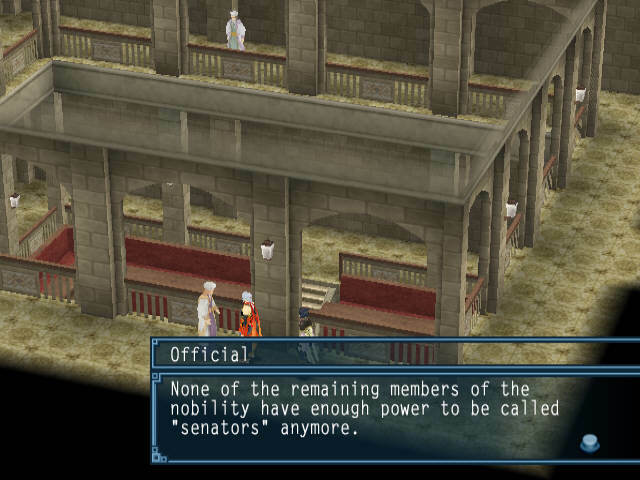 Noble: The Senate is bound to have one or two dark secrets. It's only natural. Lord Barows, on the other hand, took it much too far. 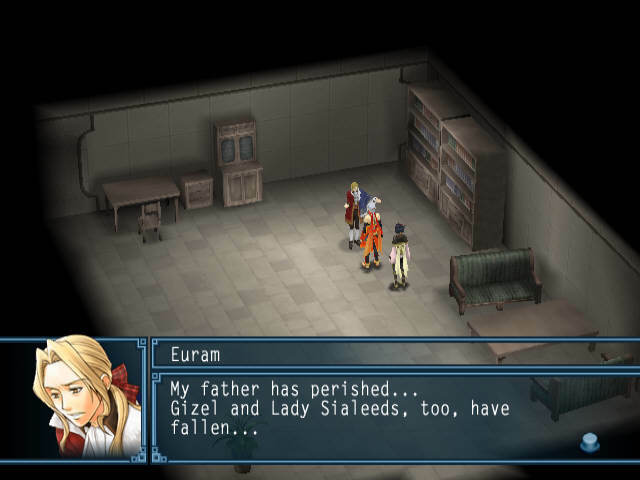 His foolish actions led to the death of countless lives, including that of Lady Sialeeds. "The death of countless lives". And I'm sure Lord Wilde and Lord Raulbel aren't thinking of becoming senators! I guess the Senate's going to have to be abolished. Pity. I think Senator Wilde could have been interesting to see. Official: I really thought there couldn't be anyone to equal Commander Ferid's brilliance. 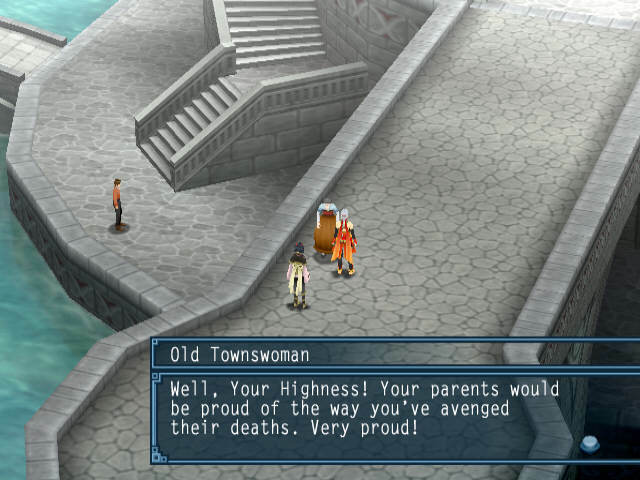 But you've surpassed your father in every respect, Your Highness. You're been truly magnificent! 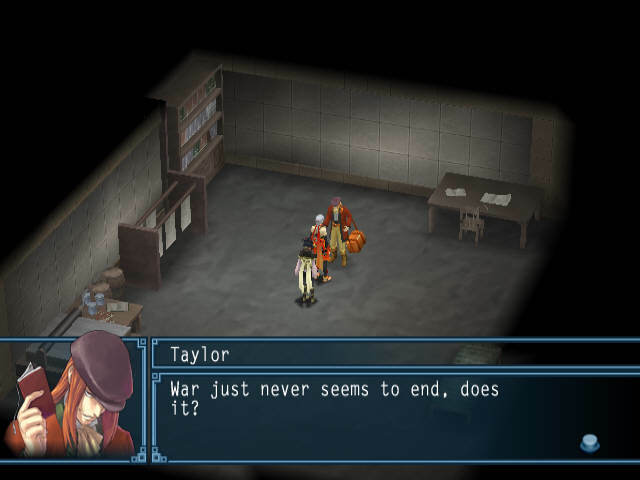 Maybe this whole war would never have happened, even. It probably would. It always does. Noble: Lord Godwin should've given up long before things went this far. Being so obsessed with the idea of using the Sun Rune made him lose all sense of reason. I wonder how much reason he had to begin with. Official: You have the overwhelming support of the people now, Your Highness. If you abolished the Senate and made yourself Prime Minister, the country would be at peace, at least for a while. But that would make it a dictatorship, and I'm sure neither you nor the Princess would want that. 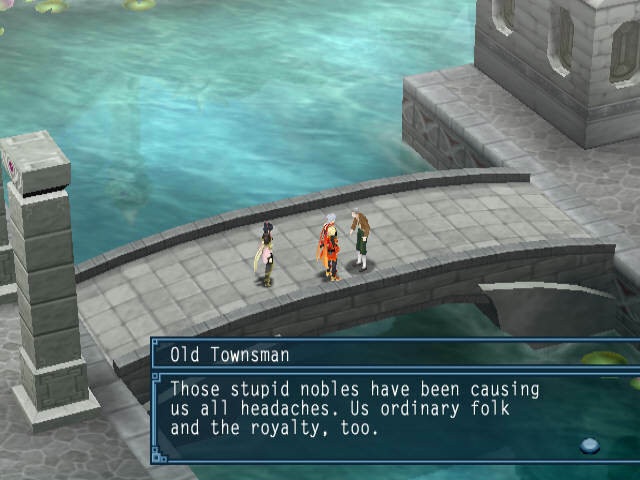 Dude, you're an NPC. A benevolent dictator's the best thing that could possibly happen to you. If she becomes Prime Minister and you became Commander of the Queen's Knights, Falena'd be safe from any foe! It's just the small matter of the other thing I'd have to do in order to hold that office! 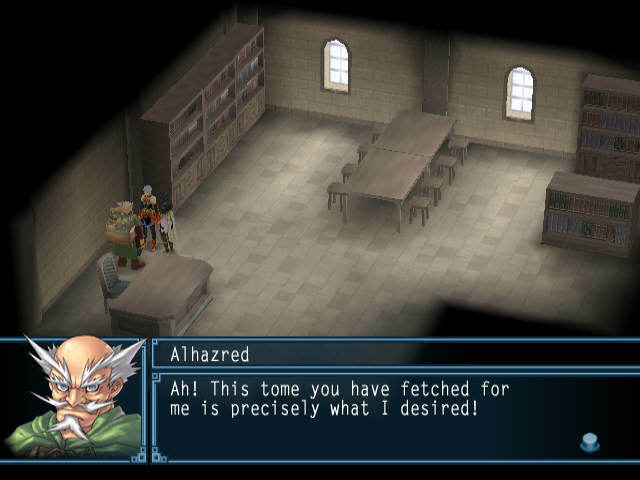 He's a pretty clever fellow, that Gizel. Watch out for him. People would think of you and the Princess as merciless, cold-blooded tyrants. 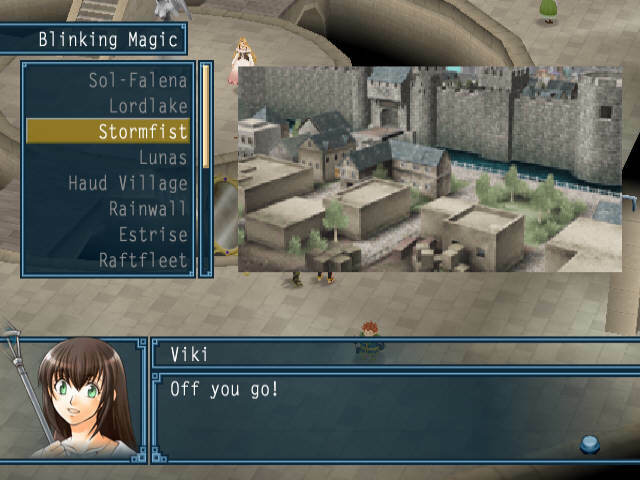 But if you don't do anything, it'll leave a source of trouble in Falena that could surface again in the future. 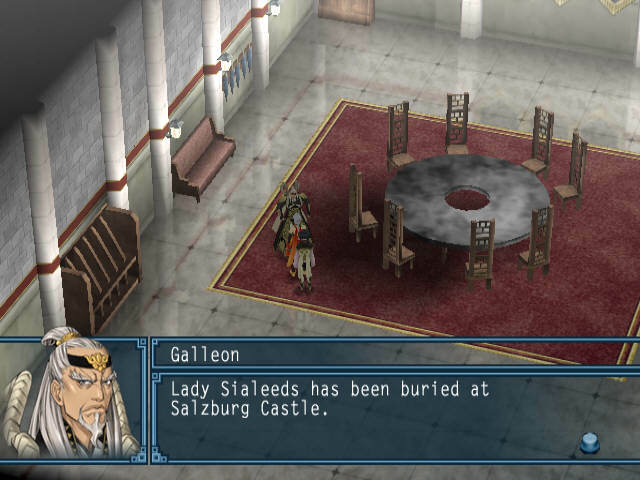 Lady Sialeeds must have been trying to use war to eliminate all of those problems once and for all. 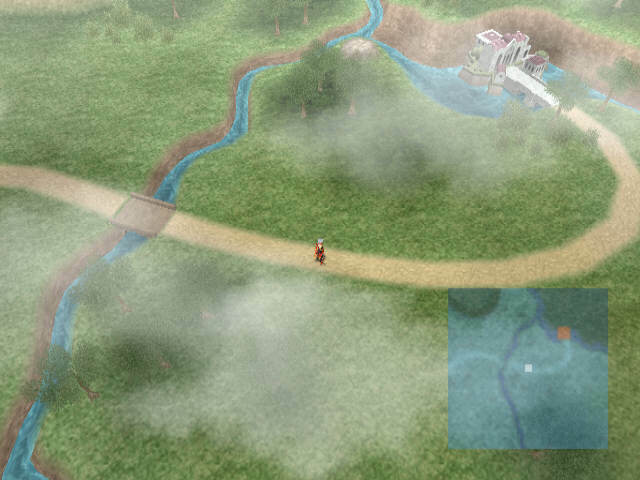 We've already been able to figure this out for ourselves, but if we hadn't, I suppose the NPCs would have clued us in. She will be the best queen. They were pretty much all Godwin's men. It may seem cruel, but after what she did, we couldn't have her interred in the royal tombs. I'm not sure Sialeeds would have appreciated a royal tomb. They ran away before you came back, Your Highness. That's about all there is to the Sun Palace now. 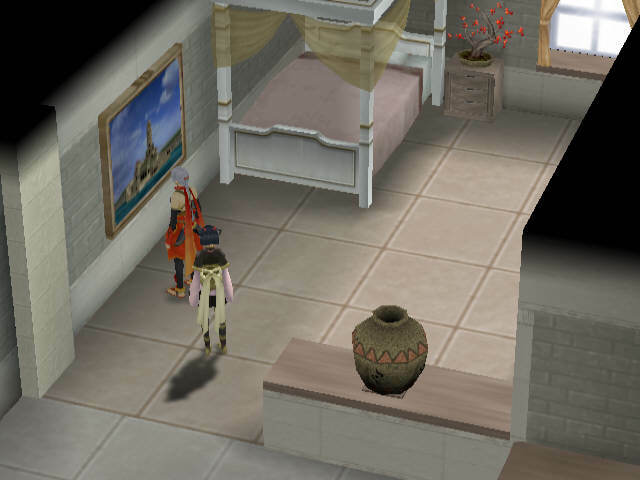 However, we still have to check the room where we found Frey's dress in the beginning. The chests have been refilled! But there aren't many of them left now. At least something good's come out of the war, then! This guy isn't so bad either. And I think this was the kid who wanted to be queen when he grew up. This sounds a little more likely. All in all, I have more hope for the next generation than the current one. I'm sure they won't all grow up to be perverts and assholes with such great role models such as, well, me around. Boy: Mom and Dad said you'd come and save us, Prince. They said we just had to wait. And I'm a good boy, so I waited and waited and waited! Girl: Now that you're here, Prince, that means everything's okay, right? Yay! This is where we should be able to exit town to the west, but for some dumb reason they won't let us. We'll go east instead. 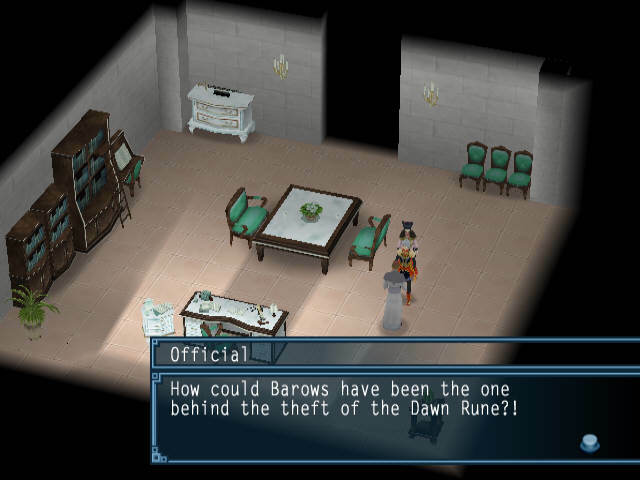 Maybe that's why Barows was keeping it hidden. He couldn't use it, but he didn't know what else to do with it. 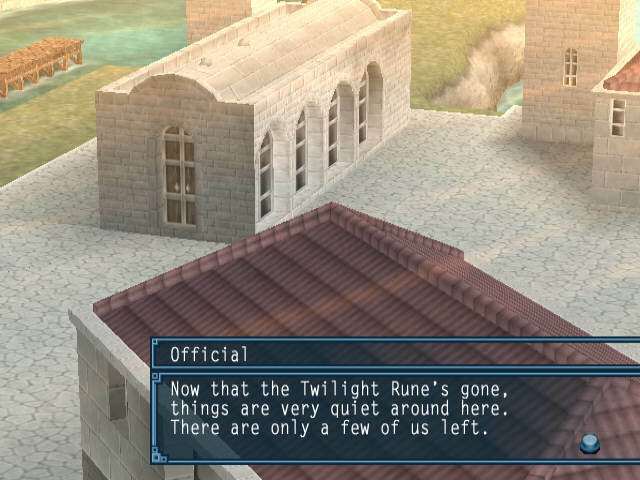 Official: I heard that the Twilight Rune and the Dawn Rune suppressed the power of the Sun Rune in the battle at Sol-Falena. 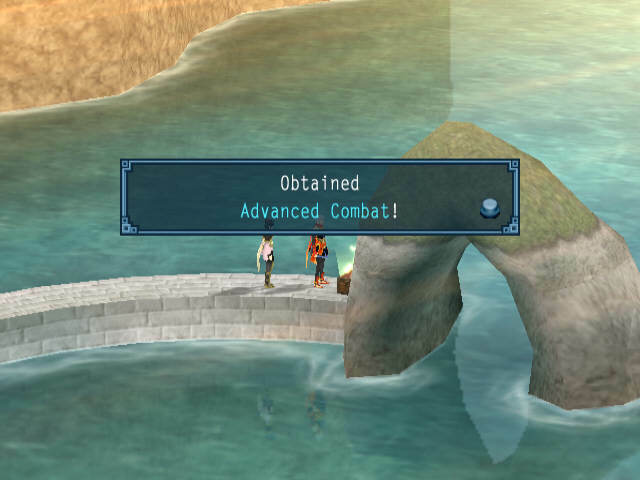 I thought the idea was that they should protect the Sun Rune, though. Isn't that the case? It's worth noting that we, the readers, know a hell of a lot more about how runes work than most people in the setting do. If course it was organized! Of course it was slick! He was behind it all! I wish I could've choked the life out of him with my own two hands! This guy was all depressed last time we were here. Good to see he's feeling better. Old Steward: Good riddance! Thanks to you, Your Highness, those rotten Godwin soldiers are gone for good! They had a putrid stench to them, they did! Just because he's already paid the price for it doesn't mean I can forgive him! No one's saying you have to! Don't worry! I'm not about to ask you to give it back or anything! I'm sure you still have a use for it, and it wouldn't be right to remove it from the master it's chosen, anyway. 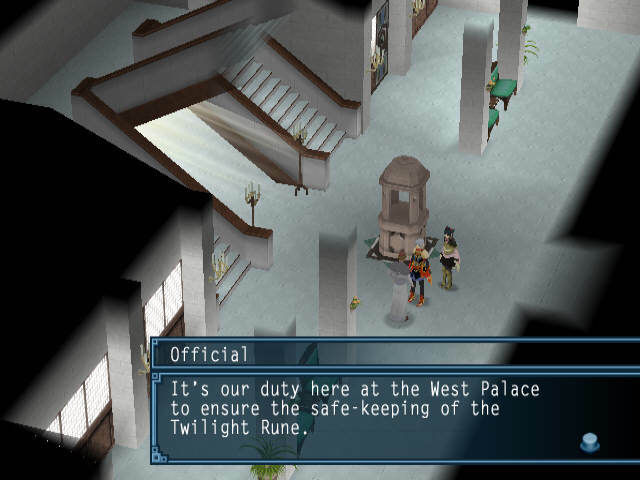 Please make sure you take good care of the Dawn Rune, Your Highness! 'course! Well, sometimes it's more like it's taking care of me. I don't know how I feel about that. 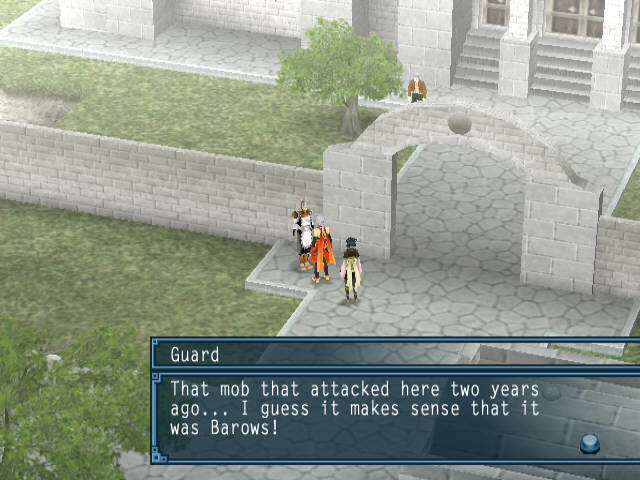 Guard: I suppose you could say that the war really started on the day the Dawn Rune was taken from here. Does it really matter? I dunno. 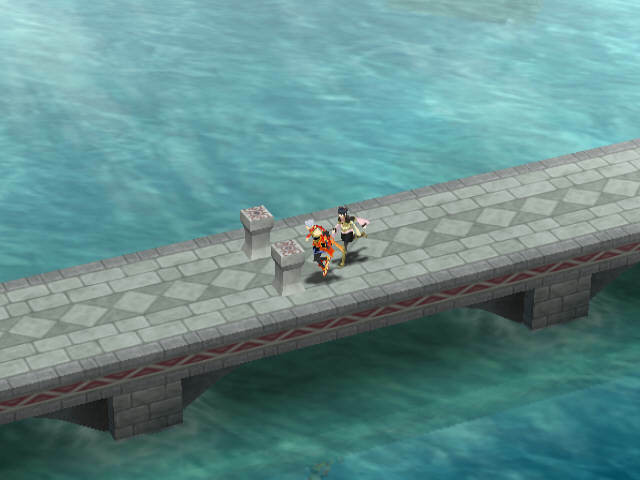 I can finally cross this bridge! FREEDOM! And what's that in the distance? 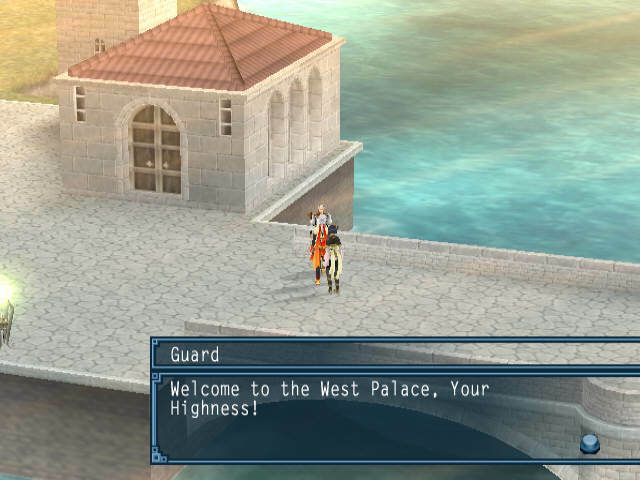 It's the West Palace! 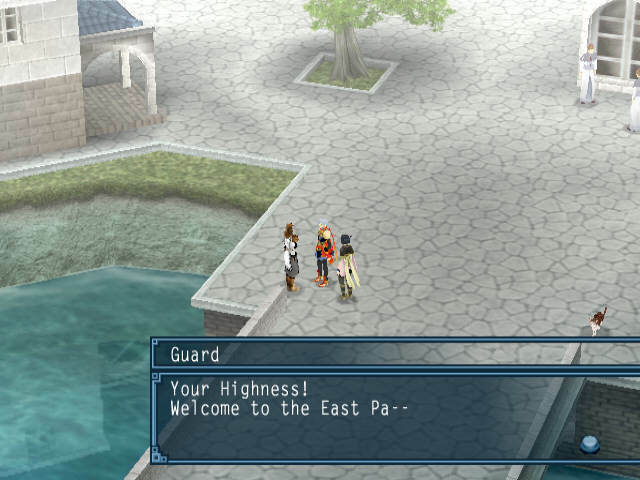 The music is the same as for the East Palace. It's a really nice looking area, with the - presumably - sunset and all. 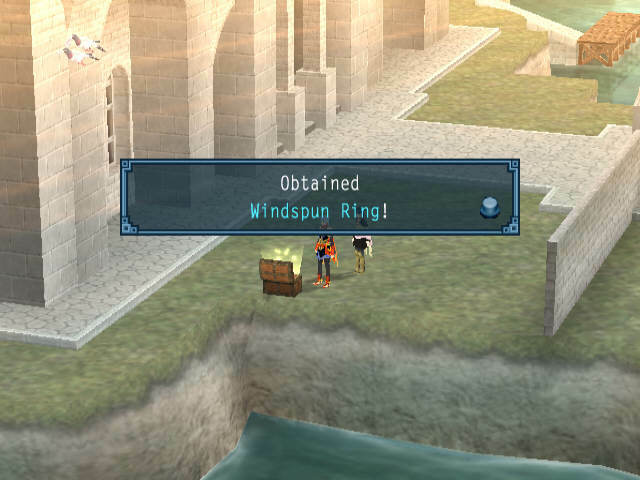 And it has some loot. The most important of which being this. SS-rank physical skills! 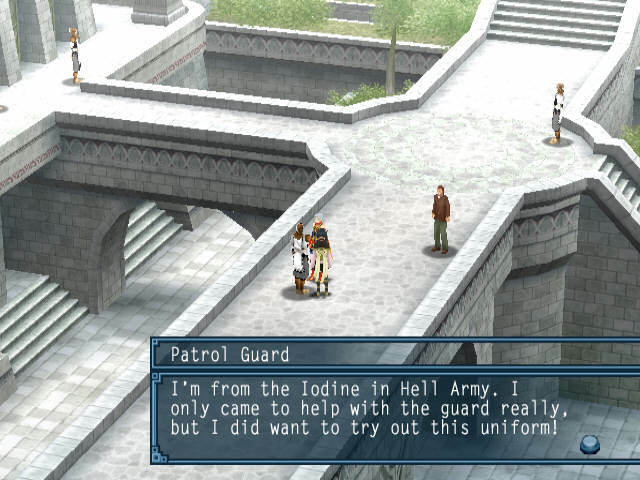 Although, that duty's only been in name since Alenia took it away. Alenia was a terrible person. Good riddance. Official: B-But... What about Sialeeds?! None of these guys are strictly necessary, but it's nice to feel the world reacting to things. This is the final formation. It grants +10 to all stats and its formation skill kills all lower-level enemies outright. It's pretty good, if you've characters with attack ranges to match the formation spots. There must be some kind of force at work here that we don't know or understand. 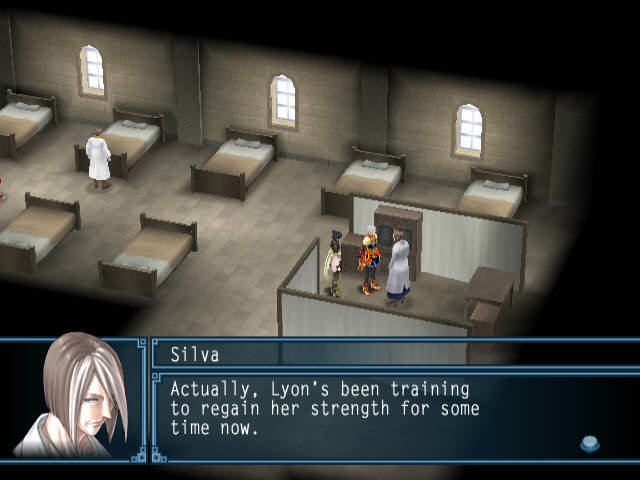 The Twilight Rune is your responsibility now, Lyon. It's pretty rare for party members to pipe up when talking to NPCs. I wish it were more common. 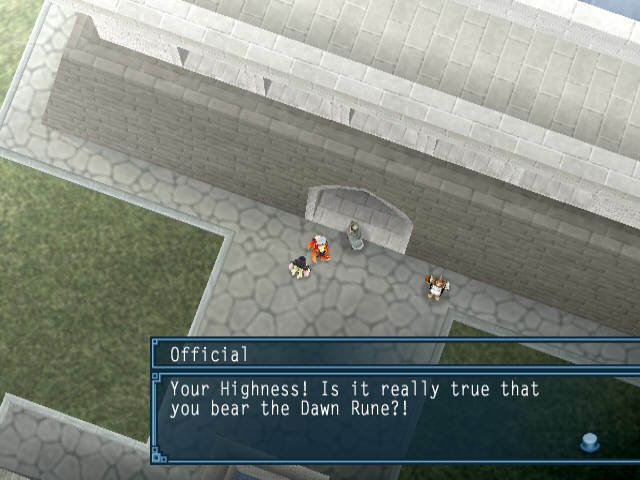 Official: A ceremony is held for royal family members to receive the blessing of the Dawn Rune upon their engagement. Another is held for them to receive the blessing of the Twilight Rune upon their marriage. 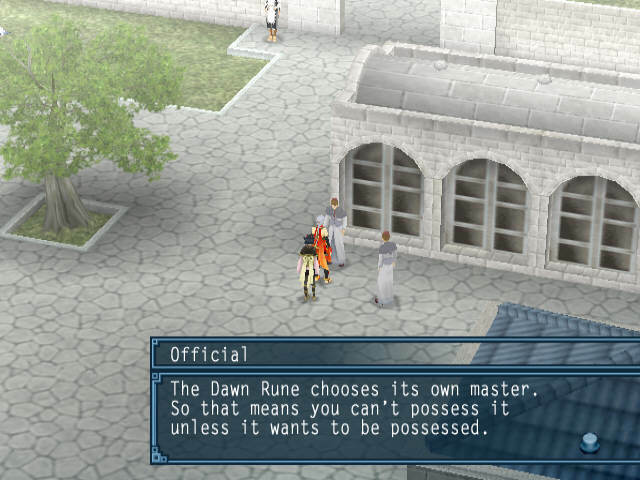 During these ceremony, they are allowed to possess the Runes, though only for a short time. Those who complete both ceremonies may possess the Sun Rune. 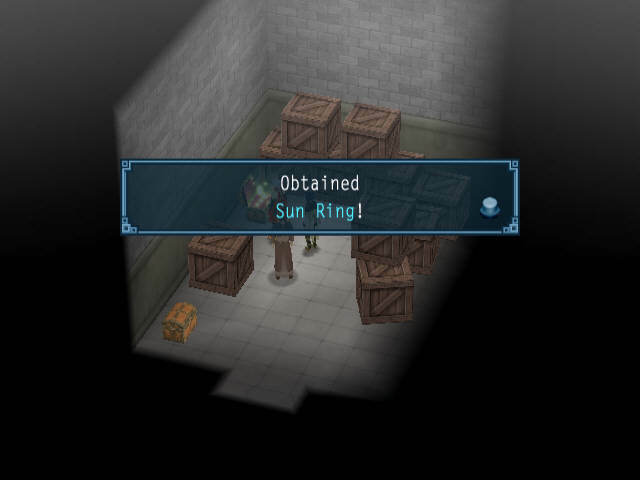 This is why only the Queen can possess the Sun Rune. It looks like the story's been twisted with time. Having held the Dawn and Twilight Runes isn't enough. In order to use the Sun Rune, you should have all three. Finally, we can look inside the Rune Room. The chest holds the Zen Sword epic; it boosts Attack and Incantation... and also, though it doesn't say, Magic Sword. You also don't need to boost Magic Sword to learn Zen Sword. It's a bit odd. 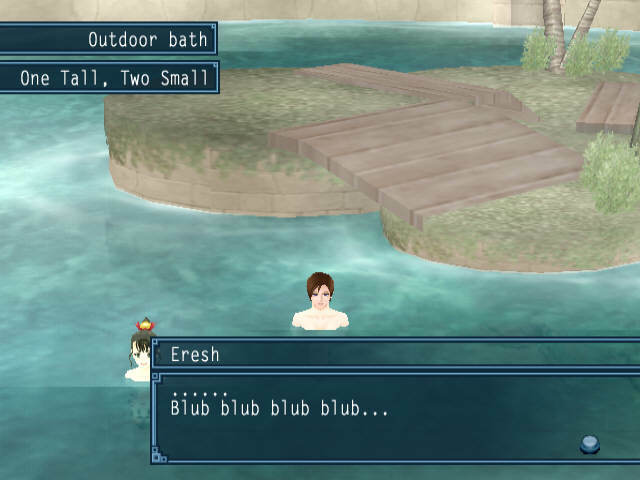 And why are you wearing that in the bath? Hey... Hey, Eresh? Are you okay? Hey! Hold on! *sigh* Once again, Eresh finds herself too short. Hmm... Well, here tell you what... Come sit on my lap! No, it's all right. Come here! 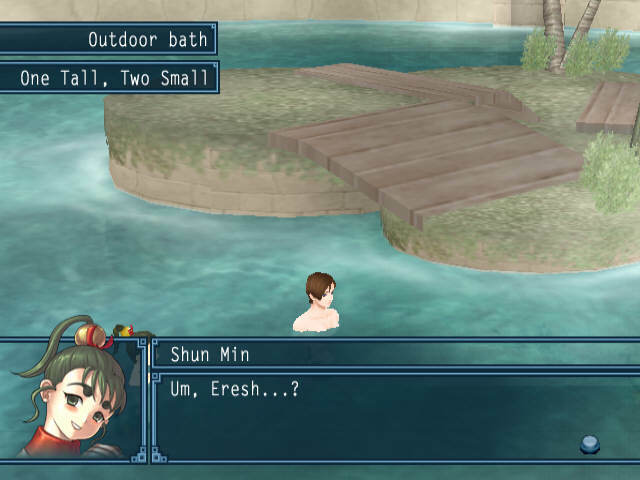 Shun Min: Blub blub BLUB blub blub...! H-Hey! Stop that! That's not funny!! "But" nothing! You really scared me! What were you thinking? Were Eresh to guess, Eresh would say that she envies Eresh's place on your lap. 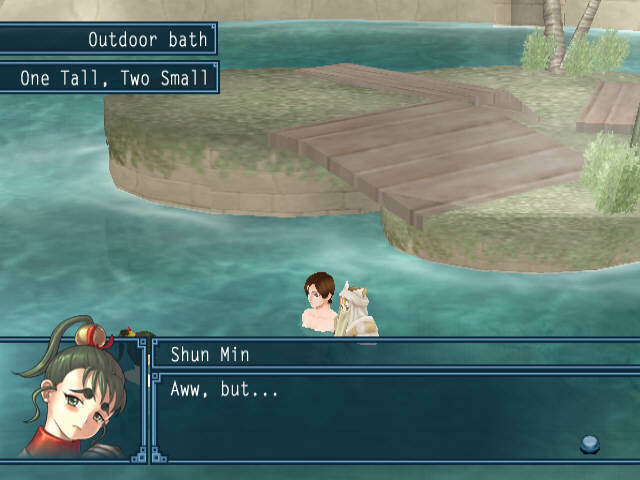 Is that right, Shun Min? Oh...! Is that what that was all about? Um... Well, um... Can I... sit on your lap too? This's okay, right? With both of us? But I am going to make Oboro work for his money. 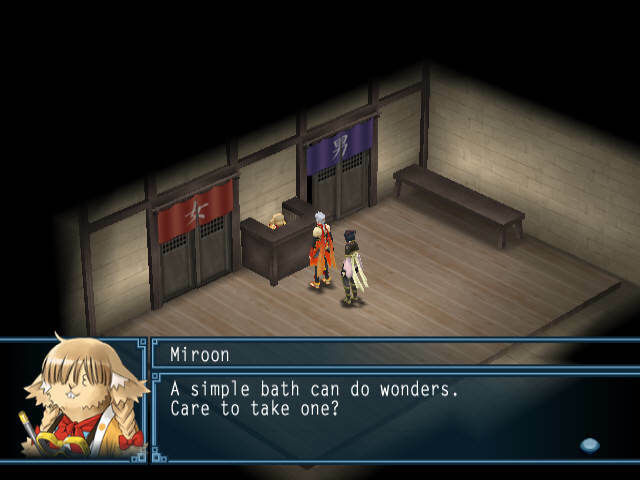 ...he's about as useful as always. It is kind of amusing to know there's a country where high priests wear cat-ear hoods, though, so it wasn't a complete waste. 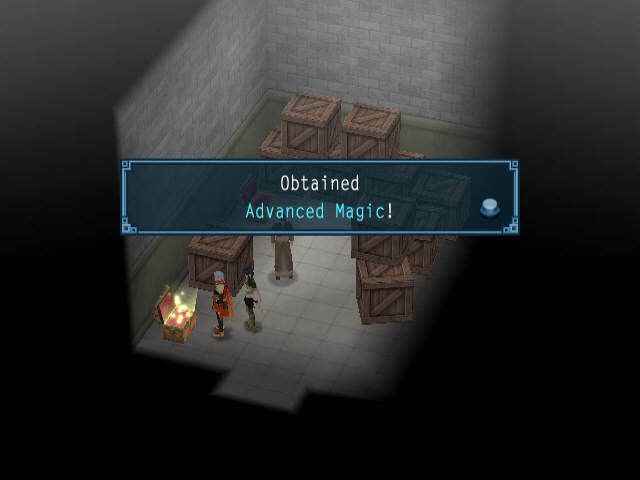 Next up, actually the final dungeon!